Written by dewpoint on April 27, 2015 . Posted in On Point Blogs. 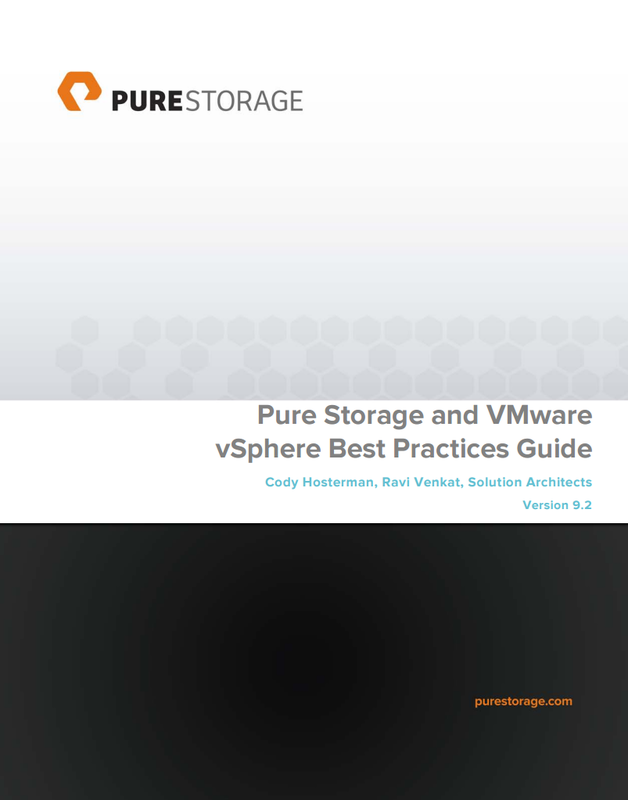 Pure Storage has published an updated guide to best practices with VMware. New information for vSphere 6.0 This mostly focuses on what supports vSphere 6.0 and re-enforcing that current best practices remain the same. Expect a lot more vSphere 6 content though in forthcoming updates. As new storage features are tested and considered in the latest version of the VMware platfom they will be included in this guide, such as VVols. Queue Depth changes are no longer mentioned in this document. Messing with this is considered a tweak that most people will not need. Don’t broke what isn’t broken is the mantra here. More instruction on iSCSI setup and clarified instruction.